Baroreceptors in the carotid sinus can be sensitive to pressure causing a reduced heart rate in some individuals (White 1977; Boone 1985). A thicker fat layer over the radial pulse site may make it more difficult to obtain a pulse in some individuals. Other palpation sites include the brachial artery, temporal (skull), femoral (inguinal fold of groin), popliteal (behind knee), dorsal pedis (top of foot). Generally, a lower pulse rate is good. It is possible, however, that one's heart rate can be too low. A heart rate of less than 60 BPM is known as bradycardia and this condition can be dangerous, especially when blood pressure is also low. Symptoms seldom occur until the rate drops below 50 BPM, which include weakness, fatigue, and fainting. Medical attention should be sought immediately if these symptoms are present. Trained athletes can have pulse rates as low as 40 to 60 BPM. Resting bradycardia in athletes should not be considered abnormal if the individual has no symptoms associated with it. Post-exercise pulse counts may not be appropriate as an indicator of exercise intensity in endurance trained individuals due to the rapid recovery of heart rate following exercise. On an average, palpated heart rate underestimated ECG-derived heart rate by 20 bpm (70% MHR) and 27 bpm (85% MHR) on the treadmill. Even when ECG-derived HR was analyzed immediately after exercise, palpated heart rate was still 7 to 9 bpm lower. Although the increased baroceptor sensitivity in endurance-trained individuals was recognized, carotid palpations did not seem to cause a reflex reductions in heart rate in this study. DeVan AE, Lacy BK, Cortez-Cooper MY, Tanaka H (2004). Post-exercise palpation of pulse rates: Its applicability to trained individuals. Medicine & Science in Sports & Exercise. 36(5). A 15 second pulse is recommended for taking heart rate during rest and exercise. If an accurate pulse cannot be obtained during exercise, it is acceptable to stop exercising and immediately take a pulse. Since post exercise heart rate decreases rapidly, a 6 or 10 second pulse should be taken. An error of one beat per minute during a 6 second count results in an error of 10 beats per minute. An error of one beat per minute during a 10 second count results in an error of 6 beats per minute. An error of one beat per minute during a 15 second count results in an error of 4 beats per minute. At submax work intensity, it may take about 3 minutes before the heart rate stabilizes after an increase in exercise intensity. If time is started at the first beat, the first beat is counted as "0". 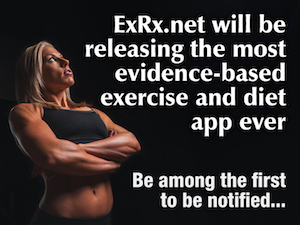 a subjective Rate of Received Exertion can supplement prescriptions based upon a percentage of predicted maximum heart rate. The heart beats 100,000 times per day, that's approximately 35 million times a year.